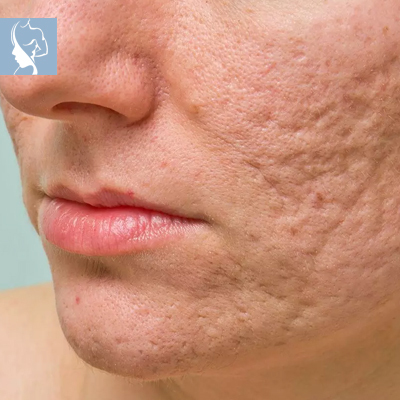 Acne scars form as a result of inflammatory or cystic acne. This is when the follicle/pore becomes enlarged due to the accumulation of excess oil, bacteria or other impurities in the pore, causing the follicle wall to break. The impurities spread to the dermis, where it damages healthy skin tissue and, combined with the over-production of collagen to heal the wound, leads to the formation of a scar.